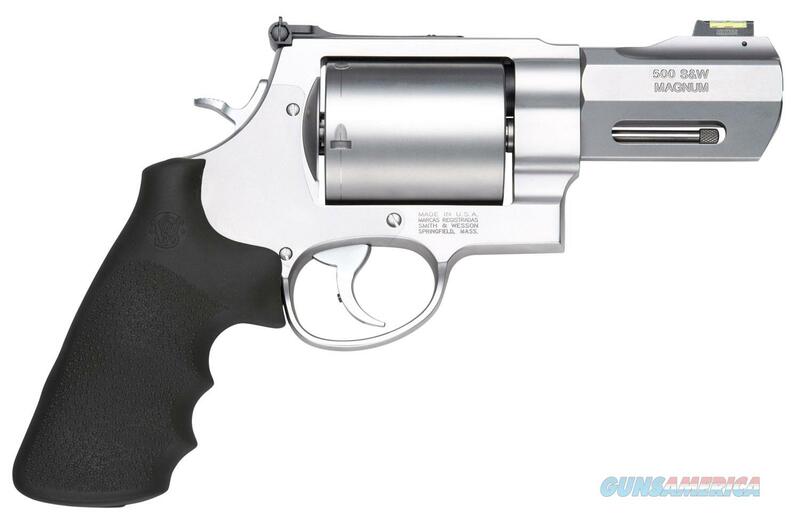 Description: Smith & Wesson Model 500 delivers maximum power for serious handgun hunters. The massive X-Frame is basis for the Model 500, and is ideal in ultimate power and velocity. The Performance Center is the ultimate expression of old-world craftsmanship blended with modern technology. This model has a stainless steel 3.5" barrel, frame, and cylinder. It also has black synthetic grips and a muzzle brake.